You’ve opened an account, so now what? We answer your questions about all things funding including rollovers, transfers, and contributions. Once you have opened your self-directed IRA, you need to decide how you want to fund your account. Choose one of three options to get started with your investments: an IRA transfer from another IRA, a direct rollover from an employer plan, or a contribution to your new IRA. What is the difference between a transfer and a direct rollover? A transfer is a direct movement of assets from your previous IRA custodian to another such as Entrust. If you are transferring your IRA from another institution, the transfer request will be initiated by Entrust who will be receiving the funds. This can only be done between like IRAs (i.e., Traditional to Traditional, Roth to Roth etc.) There no limitations on the number of transfers you can conduct. A direct rollover is the process of moving your retirement savings from a qualified plan, typically a 401(k), a 403(b) or a Governmental 457(b) into an IRA. The funds are distributed with funds made payable to your IRA. You initiate the rollover request with your previous employer and provide them with the name of your IRA. 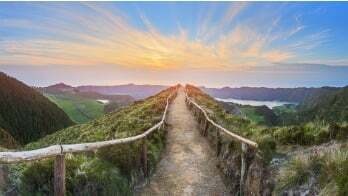 How do I use a contribution to fund my self-directed IRA? 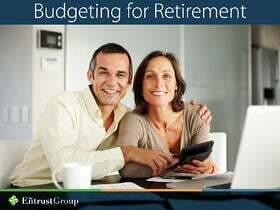 There are two different IRAs an individual can choose from to contribute to. The first one is the Traditional IRA and the other is the Roth IRA. Each has criteria that must be met to determine an individual’s eligibility to contribute. For a Traditional IRA, an individual must be under the age of 70 ½ in the year of making a contribution and the individual must also have earned income during the tax year. For a Roth IRA, an individual can be over the age of 70 ½ however, the individual must have earned income and fall within the modified adjusted income limits associated with the tax filing status. Annual contributions can only be made in cash. When can I take funds out of my 401(k)? To take assets out of your 401(k), you must have reached a distributable event. These events include: reaching normal retirement age, separation from service, plan termination, death, disability, and in most plans, divorce. Without reaching these events, your employer will not allow you to move your 401(k) assets to a self-directed IRA. Who initiates the transfer from one IRA custodian to another? To transfer your current IRA savings account to a self-directed IRA, Entrust will initiate the transfer once we receive your request to do so. You must first establish an IRA of the same type at Entrust. Entrust will also need a copy of your current IRA statement from the other financial institution. What if I have vested employer contributions? In some plans there is a provision called an in-service distribution which will give you access to vested employer contributions that have been in your account for a period of 2 years. Once you have determined with your employer that you can directly rollover your funds, the first step is to establish an IRA at Entrust. Your pre-tax dollars will need to be rolled over to a Traditional IRA. If you have a designated Roth account in your 401(k) you will need to establish a Roth IRA to receive those funds. If I don’t have enough funds for my investment, can I partner my funds with someone else? Yes. A self-directed IRA can partner with anyone at the time of purchase. According to industry opinions, you can even partner with disqualified persons but only during the initial purchase, but after the transaction is complete, the IRA cannot conduct any business with a disqualified persons. Doing this could lead to significant tax penalties. Are there any other ways to purchase an investment if I’m low on funds? Your IRA may also borrow to purchase an investment through a non-recourse loan provider. There may be taxes associated with the income from the IRA called Unrelated Debt Financed Income that is a type of Unrelated Business Income Tax. The IRA may need to file a tax return called an IRS Form 990-T to declare the income and pay those taxes. Can I rollover a partial amount of a past employer's 401(k) to a self-directed IRA, and the other portion to a current employer 401(k)? Assuming your employer will allow for two direct rollovers, you may. There is no prohibition on the number of direct rollovers you can conduct from 401(k) plans. After I fund my account and before I invest, where does my funding reside? Your cash will sit in a non-interest bearing checking account in your IRA and the account is FDIC insured. Can I set up transfers back to my other IRAs? You can transfer funds as often as you wish between any of your IRAs of the same type at any financial institution. What is an excess contribution and recharacterization? A recharacterization is a mechanism that allows a taxpayer to move a current year’s contribution from one type of IRA to a different type of IRA. This transaction is not taxable and must be completed prior to the tax return due date, including extensions. In most cases, the deadline is October 15 if someone filed their taxes timely. In what types of situations can I use excess contributions and recharacterizations? IRA excess contributions occur when an IRA holder makes a contribution that is not eligible. Other types of circumstances can cause an excess contribution. Rollovers in IRAs that are beyond the statutory 60-day period or rollovers that exceed beyond the limit of one per twelve-month period is reclassified as a current year contribution to the receiving IRA. While not automatically considered an excess contribution, it is treated as an excess contribution especially if the amount exceeds what is allowed according to law. Do I need to recharacterize my full contribution or can I do a partial recharacterization? You are not required to recharacterize the full contribution. A taxpayer may recharacterize any portion of a contribution. Since the earnings or loss associated with the amount must be recharacterized, the proportionate percentage of earning or loss must be moved along with the contribution. Is there a limit on the number of recharacterizations I can conduct in one year? There is no limit on the number of recharacterizations a taxpayer can conduct in a tax year. There is, however, a deadline on when this transaction must be completed. That is the taxpayer’s tax return due date, plus extension. There is a special rule however that if the tax payer files their taxes timely they get the automatic tax extension to recharacterize. In this case, since the tax payer may have filed their tax return already, an amended return will need to be filed. What are the benefits of a recharacterization? Here are two examples of taxpayer benefits. Example 1: A SIMPLE IRA owner has been contributing for eight months. Without knowing the rules, he transferred his SIMPLE IRA assets to his Traditional IRA at another administrator to consolidate his investments. He was told later by his CPA that this was a violation of the rules. To correct the error, the taxpayer may recharacterize the Traditional IRA assets back to the SIMPLE IRA – as if the transaction never transpired. The administrator, at the end of the year, will report the transactions to the IRS and the IRA holder, showing the movement of the assets. Example 2: A Roth IRA holder makes a contribution and later finds out that he was not eligible to make a Roth IRA contribution because he exceeds the Modified Adjusted Gross Income limits to contribute to the Roth IRA. He may recharacterize his Roth IRA contribution to the Traditional IRA since there is no income limit when determining eligibility for Traditional IRA contributions.